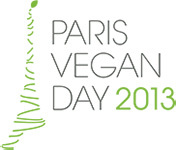 Paris Vegan Day is happening on October 12, 2013! Paris Vegan Day is the brainchild of Deborah Brown Pivain, owner of the 100% vegan restaurant in Paris, the Gentle Gourmet Cafe. 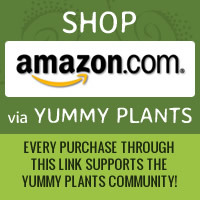 Deborah is an early vegan pioneer who has been a part of the vegan scene in Paris for decades. Her vision is to bring visitors from far and wide to Paris, the culinary capital of the world, to show how every world cuisine can be made vegan. Come to Les Docks – Cité de la Mode et du Design on October 12, 2013 to celebrate Paris Vegan Day and take part in this historic event! Taste gourmet vegan food in Paris and participate in cooking demos from Chefs including the Chocolate Queen, Fran Costigan. Shop for vegan shoes, clothes and accessories from the best vegan boutiques in Paris. Learn about a vegan diet from speakers including Élise Desaulniers, Rebecca Gilbert, Dr Jérôme-Bernard Pellet, Claude Aubert, Melanie Joy, Aymeric Caron, and Anne-Marie Roy. Tickets are 10 Euro for adults and 8 Euro for students and children.